I Hate My New “Dream Job,” What Should I Do? What do you do when your dream job turns out to be a mind-numbing nightmare? There are a lot of unknowns going into a new job, but between learning new software systems and navigating office politics, you should be able to depend that your job description won’t change, right? Leadership coach Lolly Daskal helps a reader figure out how to deal with a dream job that hasn’t turned out to be everything she thought it would be. I was really excited to start this job when I accepted it; it’s in my field and appeared to be a step in the right direction for my career (more challenges and responsibilities). But now after a few months they have me doing menial stuff like paperwork and filing, not the exciting responsibilities I was lead to believe I’d handle. What should I do? 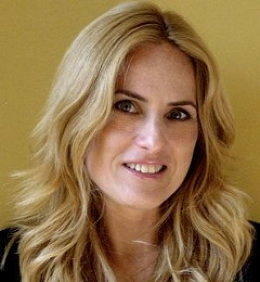 Lolly Daskal is a leadership development and CEO coach and consultant, and founder of Lead From Within. Follow her at @LollyDaskal. Starting any job can be exciting and offer new opportunities, but when the opportunity seems to be a far cry from what you thought it would be, you have to learn how to manage your situation and expectations. Don’t cry foul. If things are not going the way you planned in the first few months, don’t panic and don’t cry foul. Resist the urge to make any dramatic decisions; don’t rush to judgment. Give yourself what you need right now, which is the calm to come up with a plan to manage the situation. Take note. Take a few moments to create a document that lists what you were promised or led to expect about your job—in as much detail as possible—as well as the contrasting reality. Speak up. Set up a time to speak to your boss or whoever is in charge. Have a dialogue that is open and honest. Don’t make it emotional; stay in the realm of facts. Calmly speak about what you were originally told and what your responsibilities are now. Ask what can be changed. Come to an agreement. Before you leave the meeting, make sure you have some kind of agreement in hand that reflects what you want to be working on and what you were told you could expect. Thank them for increasing your responsibility and recognizing your new role. Follow up. After a few weeks with your new responsibilities, make an appointment to follow up. Talk about your accomplishments and any setbacks; ask for feedback about how it’s working out from their side as well. Move on. If you are unable to reach an agreement (or if your employers are unable to keep an agreement that they made) and the job will not get better, you have to seriously consider moving on. No one wants to stay at a dead-end job they hate. Stay on good terms. If you have to leave, do your best to leave on good terms. Treat everyone with respect and professional courtesy. You never want to burn bridges. Learn from the experience. From here on out, when you get an offer of a job ask for a comprehensive description of what is expected in your role. This documentation helps ensure that both you and your boss share the same understanding about your responsibilities. The more details you have, the less room for surprise.